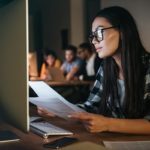 Approving credit for Massive Open Online Course completion may well be the innovation that will maintain California’s status as the trend-setter state. In his 1982 blockbuster book “Megatrends,” John Naisbitt predicted that California would become one of the bellwether states for major trends in the future of the United States. California has emerged as the state that has turned higher education on its ear. The development of Massive Open Online Courses (MOOCs) has created what Stanford University President John Hennessy called a “tsunami” in education. “I can’t tell you exactly how it’s going to break, but my goal is to try to surf it, not to just stand there,” he said to the Wall Street Journal in a panel discussion on the changing economics of education. That professor turned out to be Sebastian Thrun, one of the founders of Udacity. And that is where I first learned of the soon-to-be-launched Coursera, founded by Stanford professors Andrew Ng and Daphne Koller. A little more than a year later, the impact of Udacity and Coursera has rocked the world of higher education to the core. Joined by the Harvard/MIT spinoff, edX, these three powerhouses in the new frontier of MOOCs have upended higher learning like nothing that came before it ever could. The reason: the scale of these online platforms dwarfs anything previously seen in education. To date, Coursera alone has partnered with 62 universities worldwide to reach more than 3 million students. While many faculties look on the MOOC phenomenon as a threat to the tenure system — watering down the traditional bricks-and-mortar college experience — and despite the common belief that online education is ‘not as good’ as face-to-face instruction, MOOCs are getting the attention of state governments. In California, higher education’s funding and service situation has reached crisis levels. Because of state budget cuts, thousands of students are unable to get seat time in required classes. Governor Jerry Brown, a huge supporter of online education as a means of reducing college costs, has compared the University of California to the U.S. Postal Service, both of which are being transformed by digital change. A proposed solution has emerged that could very well make California the “Megatrends” state of the 21st century as well. California Senate Bill 520 proposes that state public universities be required to issue credit for completion of courses that are not their own, if students were forced to find courses out-of-house due to capacity issues. Under this legislation, students who cannot get a seat in a required class may seek that course through a third-party provider, such as MOOCs or other low-price online courses offered by various higher education vendors. This bill has sparked much debate. However, the bottom line is this: in a little more than a year, MOOCs have caught the attention of mainstream power brokers. We are not talking about a flash in the pan. In New York, The State University of New York’s Board of Trustees has introduced a vision for the SUNY system that will help students finish college in less time and at a significantly lower cost. That vision includes online third-party providers, including MOOCs. Ultimately, the system would like to add 100,000 enrollments within three years. The system will be heavily encouraging its top faculty members to build MOOCs. In other words, individuals who could very well become superstar professors are being asked to bring their classroom to, potentially, the world. Third-party providers may indeed be the wave of the future in higher education. And that could send the ‘sage on the stage’ professor into a tailspin. 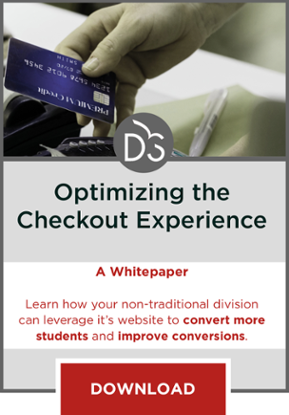 If students want a better learning experience, they can possibly get it through professors at a variety of digital entities … not the ivy-covered walls of their residential colleges. Friedman cites an entry-level accounting class offered by the Harvard Business School that is not taught at Harvard University. The professor is at Brigham Young University and Harvard students take it. Why? Because they think the course is excellent. Naisbitt, J. (1982). Megatrends: Ten New Directions Transforming Our Lives. New York: Warner Books, Inc.
It’s great to see, as Engler says, new education initiatives coming out of California. What’s more promising is that states on the other side of the nation, such as New York, seem to be taking notice and adopting the initiatives that are seen to work. Institutions already do this informally, but perhaps there could be more effort at the national level to coordinate and facilitate idea sharing among institutions. This would ensure students from all over the country are able to access the latest developments in higher education. A great observation….my guess is that there will be copycat legislation all over the country..especially with the downsizing of higher ed budgets everywhere. The proposed Bill 520 is a step in the right direction. However, in its current form, it would still require students to first seek out the courses in their home institutions before being allowed to register with third-party providers — an important caveat. I could see institutions that are reluctant to offer credit for work completed externally perhaps offering their own substitute courses to address capacity issues in required courses. This could create a situation where students who are unable to get into one particular course are streamlined into the alternative course that may be of differing quality (and likely no cheaper). I’d advise folks to always pay special attention to the California Community Colleges as well. They always seem to be innovating in the interest of student. For example, they really formulated and pushed the idea of textbook rental in the not so distant past.